The German Rock Am Ring festival resumed after the evacuation of its visitors on Friday, June 2, caused by the "terrorist threat". The police is reported to complete all searches before the start of the band's performances, which continued on Saturday afternoon. More than 80,000 fans are reportedly attending the three-day event near the Nürburgring race track which was supposed to feature Rammstein as Friday night's headliner. Saturday's headliner is the German punk rock band Die Toten Hosen, while Sunday's is System of a Down. Evacuation occurred less than two weeks after the suicide bomber carried out a terrorist attack at the concert of Ariana Grande in Manchester, England, killing 22 people and wounding more than 100 people. 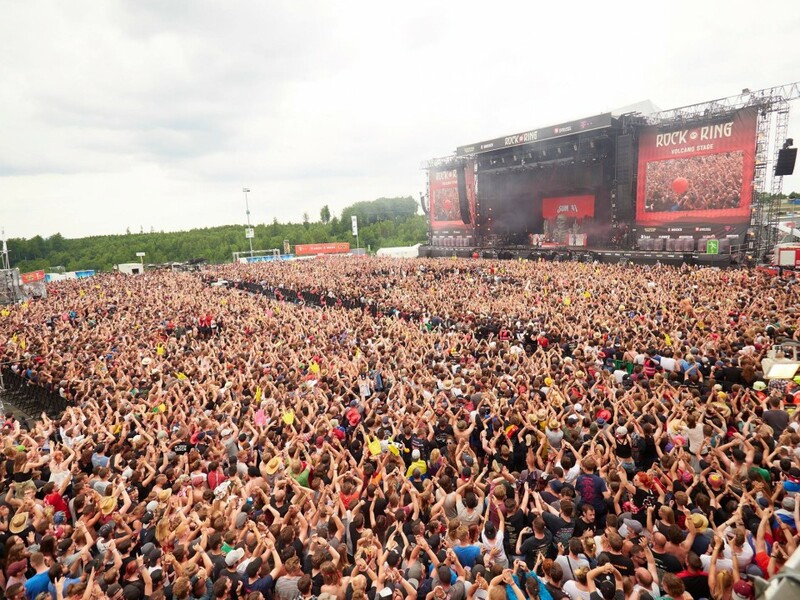 This tragedy led to changes in the organization of the Rock Am Ring festival, which this year is patrolled by more than a thousand police officers. "Because of the last attack on a concert in Manchester, the security concept for Rock Am Ring was modified in advance and the number of security officers was significantly increased to around 1,200... Since a threat could not be ruled out, all necessary measures were taken immediately," Koblenz police said in a statement. "We cannot provide any further details on the background information." "We take all tips and suspicious incidents extremely seriously and investigate closely," the statement added. On Saturday morning, the festival's organizers released a new statement announcing the event would "go on". "After intensive searches and sweeps of the complete festival site by the police, the suspicion of a potential terrorist threat has not been confirmed," the statement said. Last year, Rock am Ring ended earlier after 71 people were hurt by lightning strike. In 2015, lightning injured 33 people at the festival.